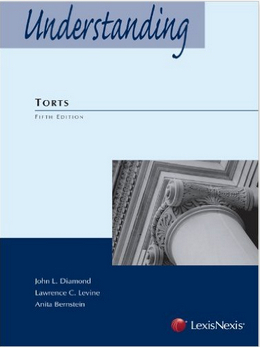 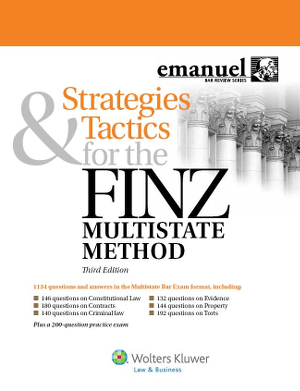 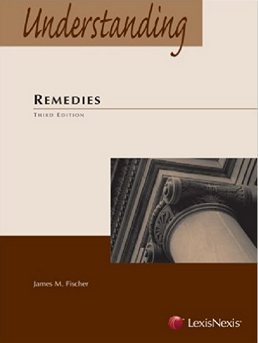 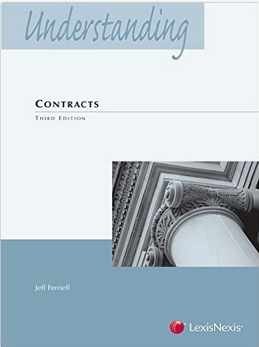 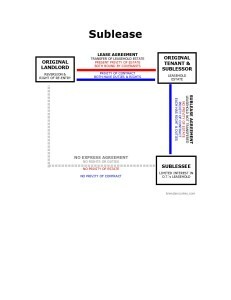 These diagrams illustrate privity of estate and privity of contract in landlord-tenant situations, including leaseholds, assignments, subleases and other variations. 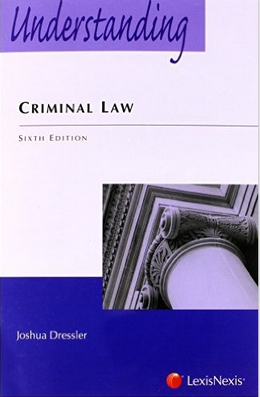 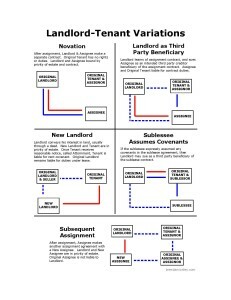 They are designed to be printed on three 8 1/2 x 11″ sheets of paper. 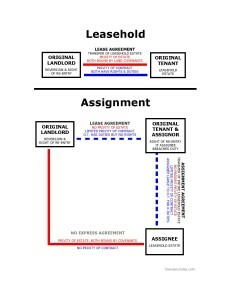 First we have the general leasehold estate, showing the solid privity of estate and privity of contract that exist between landlord and tenant, and the rights of each. 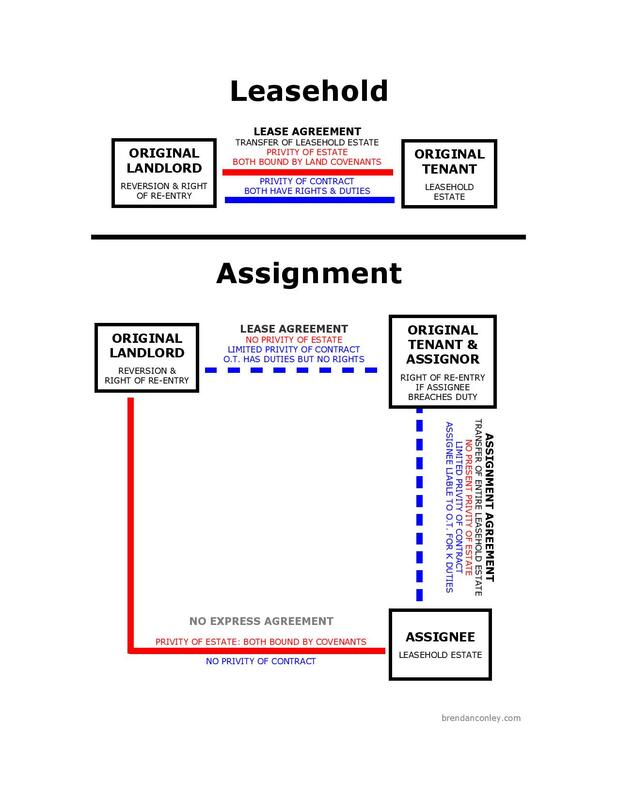 Next, assignments are illustrated, showing the relationships that exist when the original tenant assigns her leasehold to an assignee. 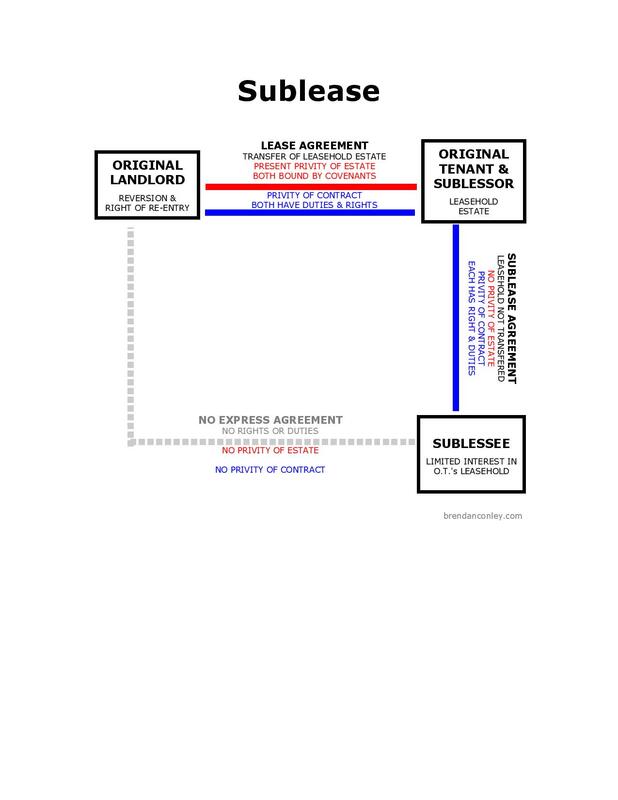 The next diagram illustrates subleases, showing the relationships that exist when the original tenant subleases to a sublessee. 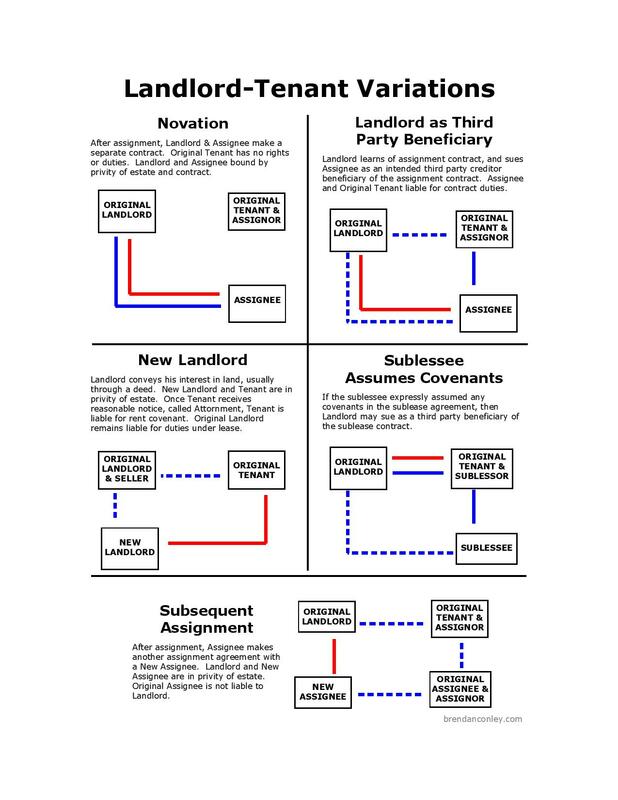 The final diagram illustrates other landlord-tenant variations, including novation, a new landlord, a landlord as third party beneficiary, a sublessee who assumes covenants, and a subsequent assignment.